Giannis Antetokounmpo- With tons of value available tonight, we have another big stars and scrubs night ahead and it could get even worse depending if any trades break before lock. 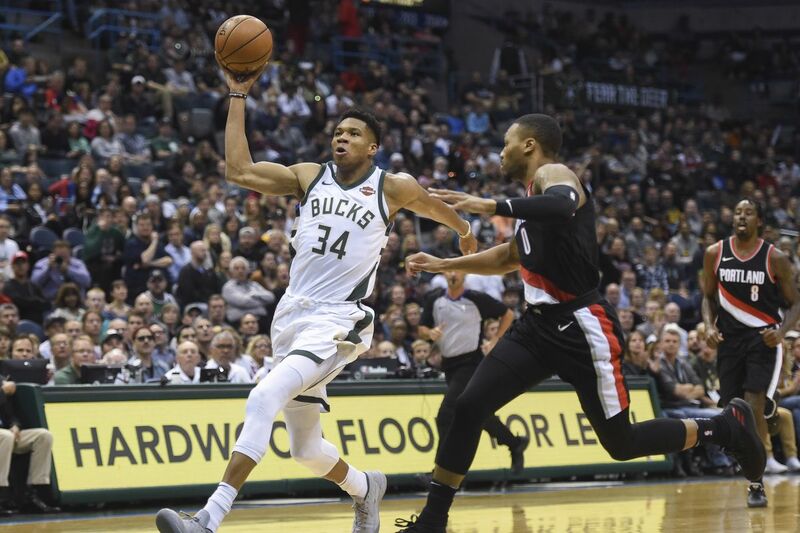 Given the value that we have, starting our cash game teams with Giannis Antetokounmpo makes sense even with an 11 point spread against the Washington Wizards. 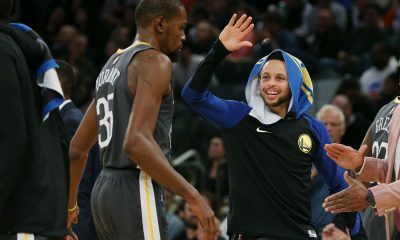 The Warriors are in a major blowout spot against the Spurs with no LMA/DeRo and there are no other “studs” to buy tonight outside of Joker, which we will get to and James Harden at $14K with Chris Paul playing. The Wizards have no rim protection to hinder Giannis’ drives, and their lack of rebounding makes this another potential ceiling spot for the Greek Freak. Zach LaVine- Don’t look now, but the Bulls are favored in a game! This is a huge pace-up spot for them, resulting in the 114 implied points, and LaVine is under $8,000 on both sites making him a strong play in all formats. I expect Lauri Markkanen to be an equally as chalky cash game option tonight, and choosing one of him or LaVine is my top choice next to Antetokounmpo. Mason Plumlee/Jakob Poeltl- This would be the reason we aren’t locking in Nikola Jokic tonight, and it’s because there are two fantastic value plays at center. It looks as if Paul Millsap will miss tonight’s game, and that gives us the cheap Plumlee set to log around 30 minutes against the Nets in a matchup we have attacked all season. With no Aldridge for the Spurs, Poeltl will be forced into heavy minutes at center, and he has sat around a fantasy point per minute this season. 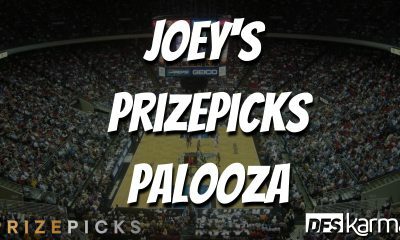 On DraftKings, I’m locking in both, and on FanDuel we have a tough decision between the two. I expect Poeltl to be the highest-owned right now, but Plumlee is a good bit safer and I would like to get to him should Millsap be confirmed out. Spurs- The chalk value is coming from the Spurs tonight with the trio of LaMarcus Aldridge, DeMar DeRozan and Derrick White all out. Given that, most cash builds will have 2-3 Spurs players and it’s going to lead to some pretty similar roster construction across the industry. I’ve narrowed the Spurs options down to Bryn Forbes, Davis Bertans, Rudy Gay and Patty Mills in that order, and remember that this excludes Poeltl who could easily be one or two on this list. Eat the chalk and get some Spurs tonight, and if you want to fade do so in GPPs. Power Forward- Given that we have Spurs value present at PG, SF, and C, power forward is one of the places we should be able to spend up at tonight. It comes down the the trio of Julius Randle, Kenneth Faried and Lauri Markkanen to me, and I will be locking in one to my cash game team tonight as of right now. Randle is my favorite overall of the three, but he listed as GTD and we need confirmation that he is going to 100% play. Faried sets up perfectly in a pace-up spot against the Kings and Markkanen is also in a pace-up situation against the Pelicans. I really would like just one of Markkkanen/LaVine, so my initial thought is to grab one of Faried or Randle, but if Markkanen fits your roster perfectly I wouldn’t have any issues rolling with that. I just know I want one of these three, and I have them graded pretty closely. Nikola Jokic- You guys should have guessed this was coming! If everyone in the world is on the cheap value centers tonight…why would we not want Joker in one of the best matchups in the league for centers. 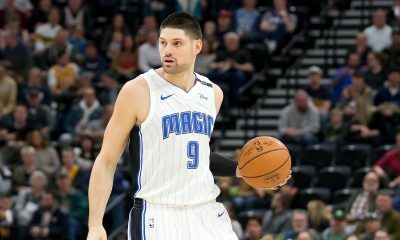 He saw just 25 minutes against the Pistons due to the score, but in a game against the Nets featuring a three point spread we should see 30+ minutes of Joker who also will benefit from the absence of Paul Millsap (should he miss). Kris Dunn- Dunn could actually be elevated to the cash game pool tonight, but I’m trying not to overload us with Bulls. The individual matchup is good and Dunn’s style of play will benefit from the dramatic increase in pace.